The political offensive against civil sea rescue continues: Now the civil reconnaissance aircraft Moonbird was blocked from operations as well. The aircraft is operated by Sea-Watch and the Swiss Humanitarian Pilots Initiative (HPI) and is supported by the Protestant Church of Germany (EKD). The Maltese authorities do not allow any kind of search and rescue operations. From now on no search flights in the search area north of the Libyan coast are possible anymore. Since operations started, Moonbird was involved in the rescue of 20 000 people and more than 1000 would have drowned, if the Moonbird Crew would not have found their sinking boats in the last minute. Originally published by Sea Watch. 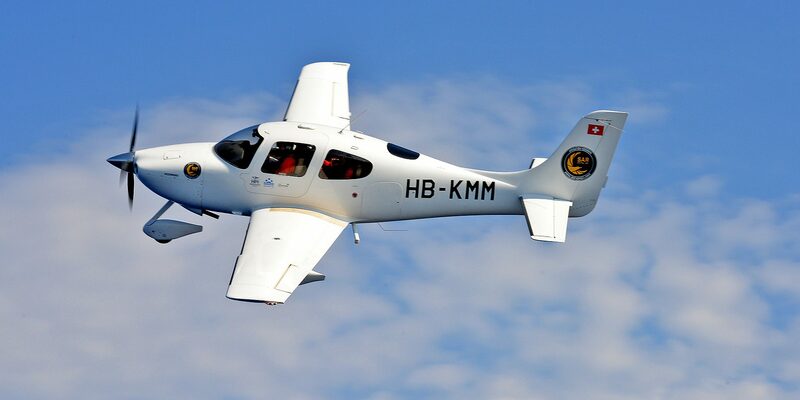 “There is no permit issued for any type of search and rescue operations,” the Maltese authorities informed the Moonbird project earlier this week. Reasons or a legal basis for the no-fly were not communicated. The Moonbird operated over a year almost daily from Malta, always in the best cooperation with the Maltese authorities and the Italian Coast Guard, sometimes even under their explicit command. Sea-Watch e.V. is also a member of the International Maritime Rescue Federation, which also includes the Maltese Army and the Italian Coast Guard. The Cirrus SR22 single-engine aircraft is equipped with special safety systems and is ideally suited for use over the open sea; it meets all legal requirements. “The political leaders should be clear on what this flight ban means: The people on the boats are not saved, but drown unseen,” says pilot and HPI founder Fabio Zgraggen. “About 1,000 people would have died last year if we had not found them at the last minute and had not informed the authorities. Since civilian rescuers are no longer allowed to help, we are witnessing a massive increase in casualties.” He recalled that more than 3 shipwrecks have occurred since Malta prevented civilian assets from leaving, and more than 500 died since the Italian Foreign Minister Salvini has closed the ports of Italy. All in all, more than 1,400 people died this year. Moonbird Commander Ruben Neugebauer strongly condemned the political rationale behind the decision of the Maltese government: “Obviously, they don’t want independent witnesses documenting the dying and the human rights violations on the Mediterranean. The European public should not know how barbarically the isolationist policy is enforced at the external borders. They don’t want any evidence of how people are drowning or how the so-called Libyan Coast Guard is acting. “The deaths of the people are accepted because they are intended to have a deterrent effect on other refugees”, says Neugebauer. But dying would continue as long as European governments did not address the root causes of migration and flight and set up legal and secure access routes. “In Europe, we can only come together to find solutions in refugee policy,” said Neugebauer. Not only Sea-Watch, but numerous other international human rights organizations demand that.